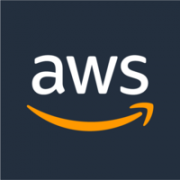 Standard Bank has chosen Amazon Web Services (AWS) as its preferred cloud provider with the intention of migrating its production workloads, including its customer facing platforms and core banking applications, to the cloud. The migration to AWS will take place across all business units, subject to approvals from local regulators, including Personal Banking, Wealth, Corporate Investment Banking and Insurance, driving a more personalised banking and investment experience for customers. Standard Bank Group cites AWS’ portfolio of cloud services and commitment to security as a reason for the move. The South African Reserve Bank has confirmed the bank can make the move while keeping in line with compliance. The bank will also take up services like Amazon SageMake, to advance fraud detection and launch new business initiatives. There will be a team within the bank focused on facilitating the migration to the cloud and building AWS training and certification programmes for employees. AWS and Standard Bank will also collaborate on cloud education and digital skills programmes across Southern Africa. Hi KOfi, Microsoft Azure data center went live in February and Exxaro is migrating there currently. Seriously? This scares me “data analytics and machine learning, to automate financial operations” Investigate the security of the data and processes first. What if scenario… all the money is gone… or you have an AI bankmanager that pulls your overdraft due to machine learning. Go explain why your crops have failed… FRAUD?